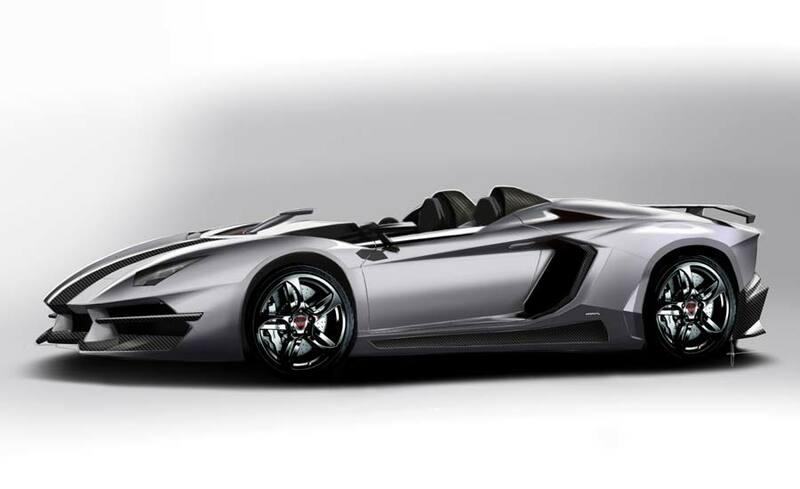 London-based specialist coachbuilder, Prindiville, has released details and a rendering of its new concept based on Lamborghini’s one-off Aventador J model. Visually, the car’s aggressive exterior styling program is constructed from carbon fibre and includes a replacement front bumper, hood, side skirts, rear diffuser and raised rear wing. Performance upgrades see the 6.5-litre twelve-cylinder engine receive an ECU remap and titanium exhaust system, which results in 600 kW (805 hp) – up from 522 kW (700 hp). That means the 0-100 km/h time is cut from 2.9 seconds to 2.5 s, while a top speed of over 350 km/h (220 mph) is also promised. Helping to reign in that extra power, Prindiville also adds an uprated carbon ceramic brake system and adjustable suspension kit. Just eight examples are slated for production, with interested parties asked to contact the company for details.